Joe: Have you heard of Ayahuasca? Joe: Ayahuasca… It’s a sacred vine that’s been drank for thousands of years in the Amazon. They call it the sacred vine, it’s a teacher and a medicine. Me: Umm no… How does it taste? Me: Wow, sounds sooo appealing, seriously, who wouldn’t want to do this??? The challenge had been set and I let out a sigh, as two minutes later I realized that it was not a case of if… but when! Note: These posts are my OWN PERSONAL experiences. I am in NO-WAY suggesting anyone else should do this. 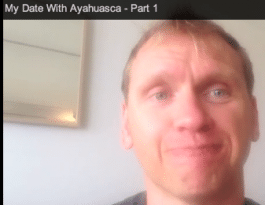 Ayahuasca has been the biggest adventure for me to date, and I’m simply sharing that adventure for those who want to know my experience. I have been asked continuously about it since I drank, so these posts are for those who want to know more. I captured my feelings and thoughts in short videos before, during & after the ceremony. I’m sharing them with each post for those that want to know more, so you can get feel for what I went through.It’s illegal to possess/traffic Ayahuasca within Australia. The seed had been planted. For the next nine months it pecked away at my sub-consciousness like a nagging Aunt would until you got off the couch to wash the dishes. I finally set my date with Ayahuasca, and there was no turning back. 1. – London Real video podcast interview with Graham Hancock. 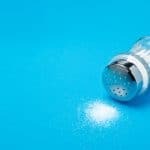 I have a lot of respect for the guys at London Real, and this interview with Graham Hancock doesn’t hold back any punches and he tells it like it is. Graham is a brilliant man, a phenomenal author and is like the real life Indiana Jones. 2. – Stepping Into the Fire. A fascinating story about a guy who was the number two stock trader in America. He had all the wealth he ever needed, and also hit the lowest point in his life. After his brother attempts suicide, he decides to head to the jungles of Peru and drink the Ayahuasca brew. This is that story. 3. – The Sacred Science. Witness the story of eight brave souls as they leave the developed world behind in search of deeper answers. Living in seclusion for one month in the heart of the Amazon jungle, these men and women take part in the powerful healing practices of Peru’s indigenous medicine men, working with centuries-old plant remedies and spiritual disciplines. Note:Don’t overload yourself with Youtube videos on Ayahuasca. Whilst there are some fantastic interviews and podcasts on the topic, sadly there also videos out there that don’t give it the respect it deserves.In saying that, do your homework so you can make an informed decision. I would only do this with an oraganisation that I trusted explicitly and where 100% professional and caring. In NO-WAY would I take any short cuts. After reading and researching Ayahuasca, it was now time to start the preparation two weeks out from drinking as there was much work to be done. After nine months of saying yeah yeah, I’ll do it one day, someday, you know… when I’m ready. All of a sudden things started to get very real. It felt like a date with the jury had been set and I was awaiting my fate. I was quickly realizing it wasn’t as simple as meeting up with my mates and making a toast to good health, as that would be way to easy right? The first thing I had to tackle was my diet, and already this was challenging my beliefs on many levels… To be continued.